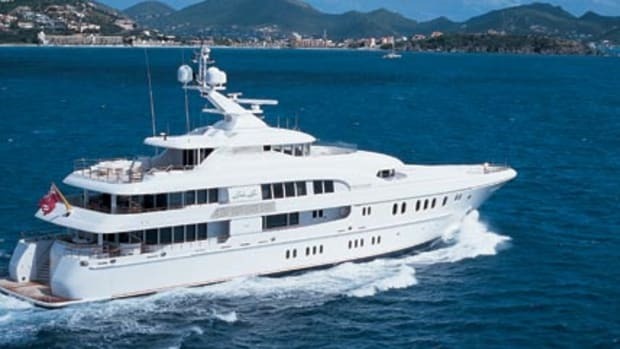 Even though all the guest staterooms on this new yacht’s lower deck feature king-size beds, no doubt someone’s going to make a run for the queen-equipped VIP, considering the cabin is just forward of the skylounge on the bridge deck. 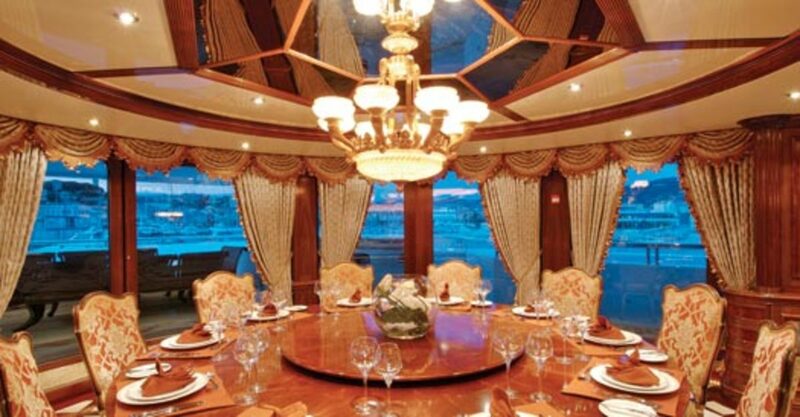 No worries if guests want to visit with each other: A circular glass elevator will whisk them up or down in seconds. 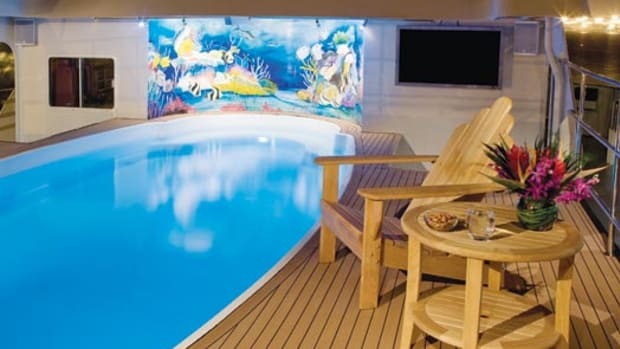 But we’ll take bets everyone will instead meet in the sports bar on the upper deck, because it features a 110-inch TV that’s part of a home-theater system. 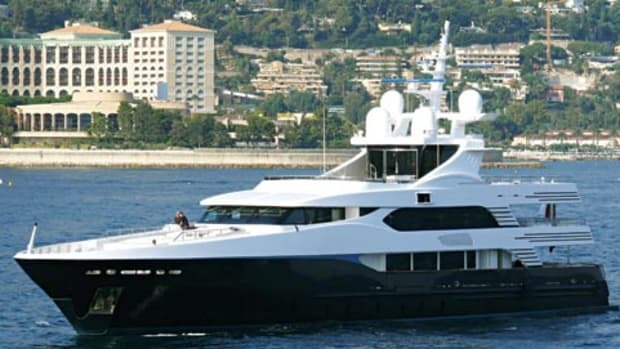 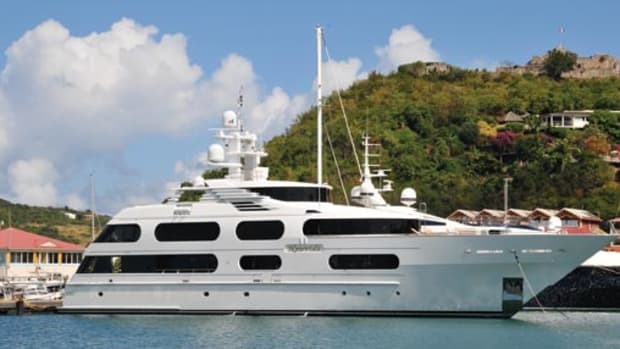 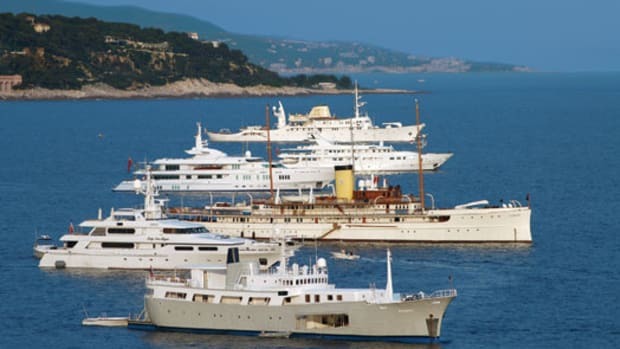 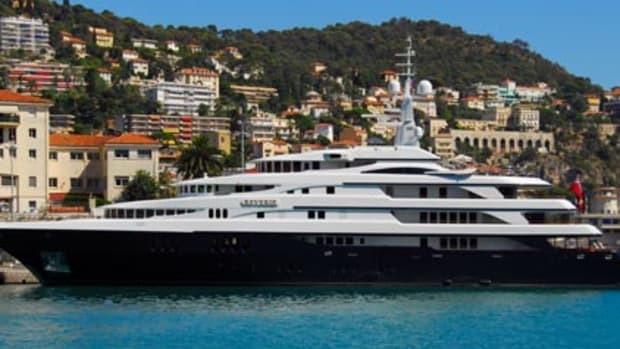 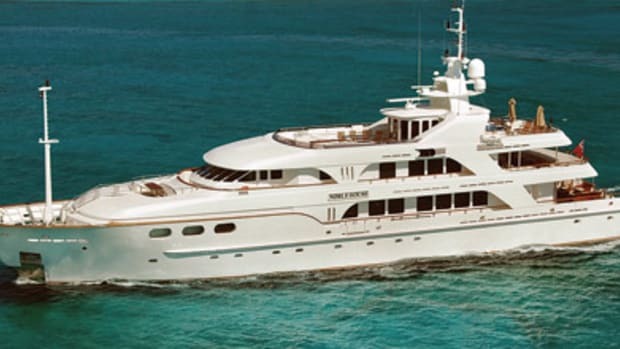 • all of this and more is available for a weekly charter rate of F600,000 (about $939,000 at presstime).